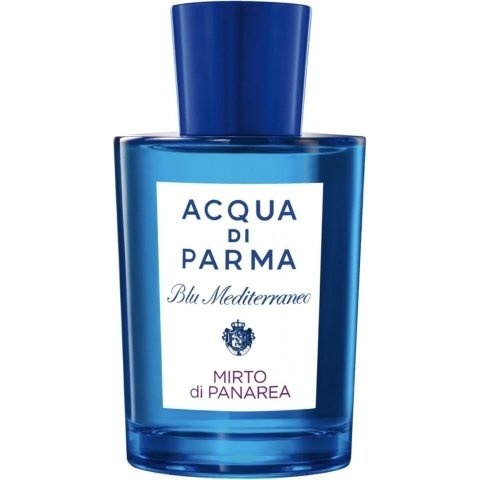 Blu Mediterraneo - Mirto di Panarea is a perfume by Acqua di Parma for women and men and was released in 2008. The scent is citrusy-fresh. It is being marketed by LVMH. ~ Mirto di Panarea is my own personal taste of a Mediterranean paradise in a bottle! I am easily carried away with images evoked by scent and this fresh myrtle, citrus and basil scent is no exception. I am at a charming outside cafe seated by a flower cart on a breezy day and an open air market with various citrus fruits nearby. The notes all feel very natural lemon, orange and the white florals make for a realistic transporting scent to the sea. Fresh, floral, green and even a creaminess that is very appealing to my nose as my own personal skin scent. This is a lovely image in a bottle that will give me a momentary escape to another land and a pleasant blue diversion with each hint of it's seaside sillage breeze. What a gorgeous one this is! It is one of the freshest, most beautiful, natural smelling summer floral scents I have ever come across! I really like it and find it very nice! It opens up with a beautiful sweet lemon accord. Not sugary sweet, just the natural sweetness of the lemon. It's coupled with a very soothing aromatic Basil note and the most wonderful rendition of sweet Myrtle flower blossom. Absolutely incredible! You can just imagine this wonderful Italian garden by the sea. I also get a hint of salty sea breeze coupled with the prominent flower blossom. I highly recommend this if you want a very natural smelling, Mediterranean style floral fragrance. Acqua di Parma has really impressed me with this one. Try it if you get the chance! Mirto di Panarea opens with a now all too familiar combination of lemon and bergamot and other citrus with a mildly herbal undertone of basil and myrtle, and a salty accord that is relatively well-repressed. The salty citrus and its underlying herbal greens remain into the heart as the scent remains linear in its presentation throughout only slightly changing up things a bit when a base note of amber replaces the now highly dissipated citrus late. Projection is average and longevity is below average. 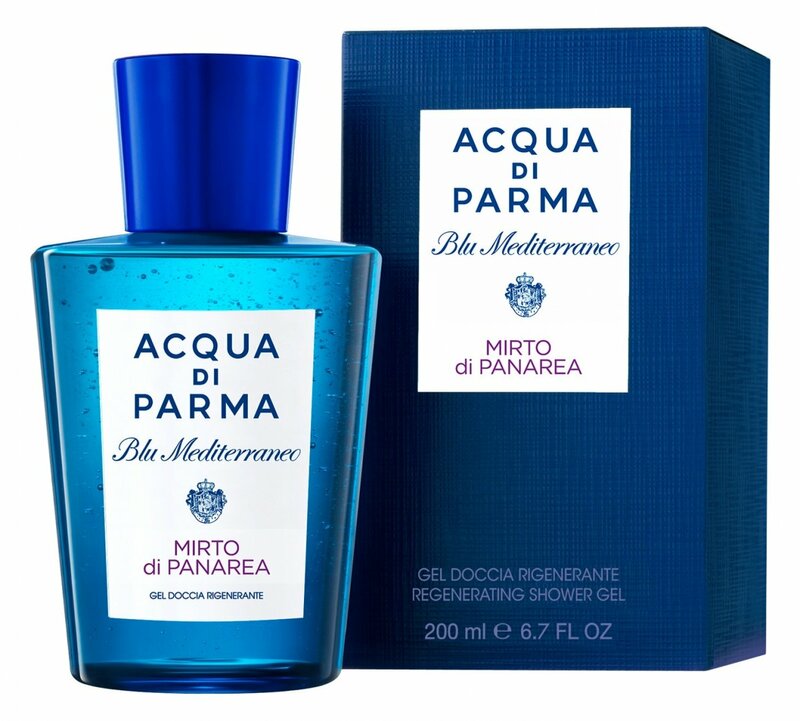 It is now official... after having tried three of the four samples of the Blu Mediterraneo series I am pretty well convinced this segment of the Acqua di Parma brand is not for me. Like its sister scents I find Mirto di Pannarea to be extremely uninteresting and forgettable. The bergamot and lemon has been done so many times before and quite frankly done a lot better elsewhere. It also has been done by other scents in the Blu line, come to think of it... Why do these Blu line scents all seem like the same fragrance over and over again? I do like the amber dry-down, but it is nothing earth shattering and it is quite short-lived with no projection at all by the time it appears. Mirto di Panarea is yet another disappointing release in the generally disappointing Blu line, earning another average score of 2.5 stars out of 5. Skip it, says I.